The Joint Admission and Matriculation Board (JAMB) says it is shutting down computer based testing mode of conducting matriculation examinations due to low computer literacy level of candidates across the country. Speaking at the opening ceremony of Strategic Planning Retreat on Monitoring and Supervision of 2017 UTME in Kaduna, JAMB registrar Is-haq Oloyede also said the board planned to set up dedicated centres in Abuja, Lagos and Kano by 2018 where visually impaired candidates can sit their matriculation exams. "General feedback on the adoption of the Computer Based Test mode showed low computer literacy level of some candidates as well as phobia for the use of mouse. “This however is partly responsible for calls from different quarters for reversal to the Paper and Pencil Test mode. 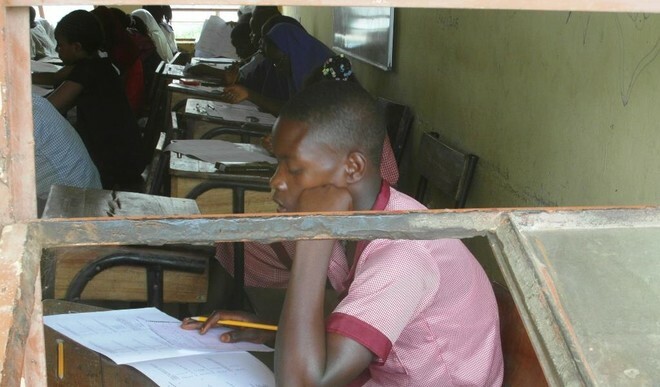 “But in order to ensure equity and level playing ground for all candidates taking Unified Tertiary Matriculation Examination, the Board has designed a system that will allow candidates use only eight keys without the use of mouse. “All the candidates need to do is press the letters A,B,C,D for responses to questions and keys: P, N, S and R representing; Previous question, Next question, Submit and Reverse, respectively," he said.